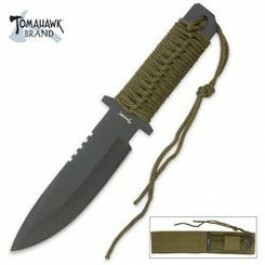 Buy Full Tang Tactical Knife , from Budk - RBC VISA for $9.99 only in My e-commerce. 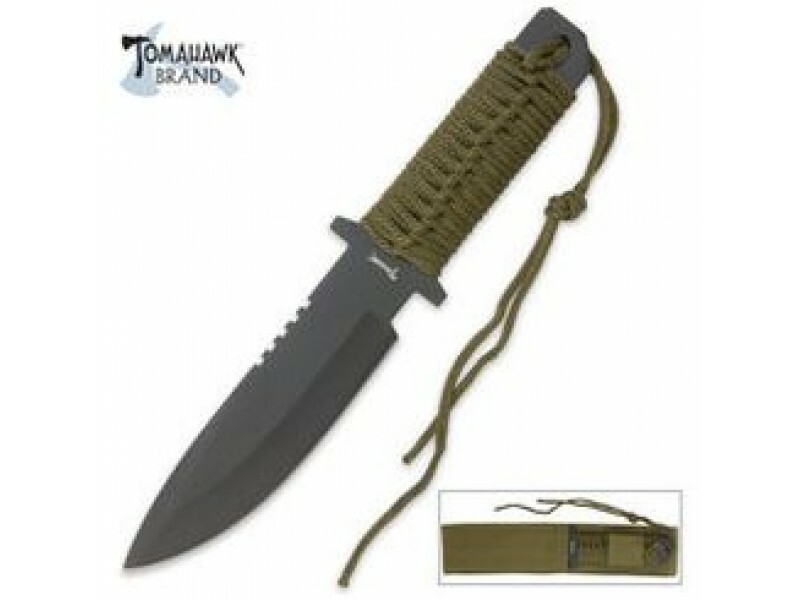 This tactical combat knife offers a simple yet highly effective full tang design. Measuring 10 3/4" overall, this knife features a spear point stainless steel blade with black finish. The handle offers a green nylon cord wrapped handle that extends into a lanyard cord. Includes a green nylon belt sheath.